Time to talk handmade christmas presents! These are my last minute surprises. Thanks to the new Islington location and certain time constraints of a new job eliminating going to local college classes. Sew Over It has been my sewing class haunt of late. As a christmas present class for myself 😉 and others 🙂 I signed up to the tie making class. Learning the proper way to hand stitch was the main motivator for attending this class but this project was enjoyable and perfect for all the male family members I needed presents for. I think ties gonna be my signature present for a good while. 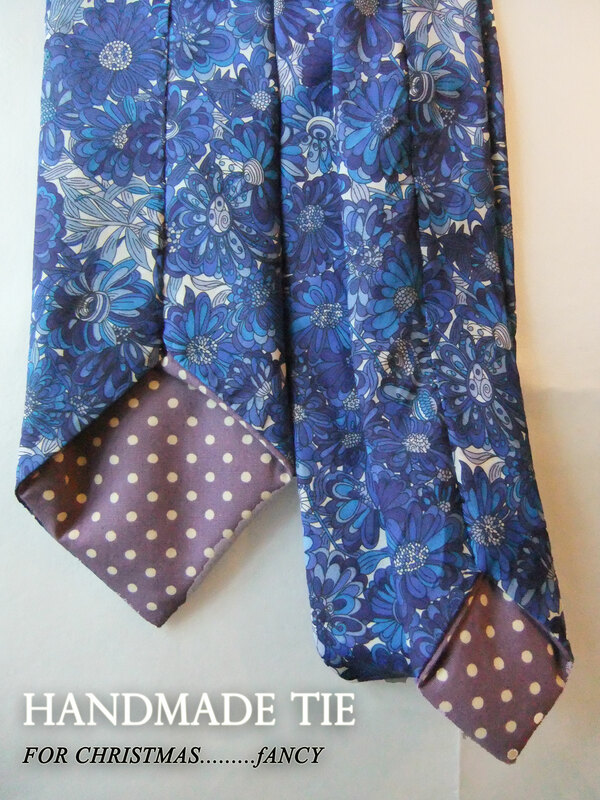 We used the Sew Over It tie pattern, going to the class saved me so much time, if I went through the pattern by myself it would have certainly taken me three times as long to make and definitely wouldn’t have been made to the standard I made these ties too. 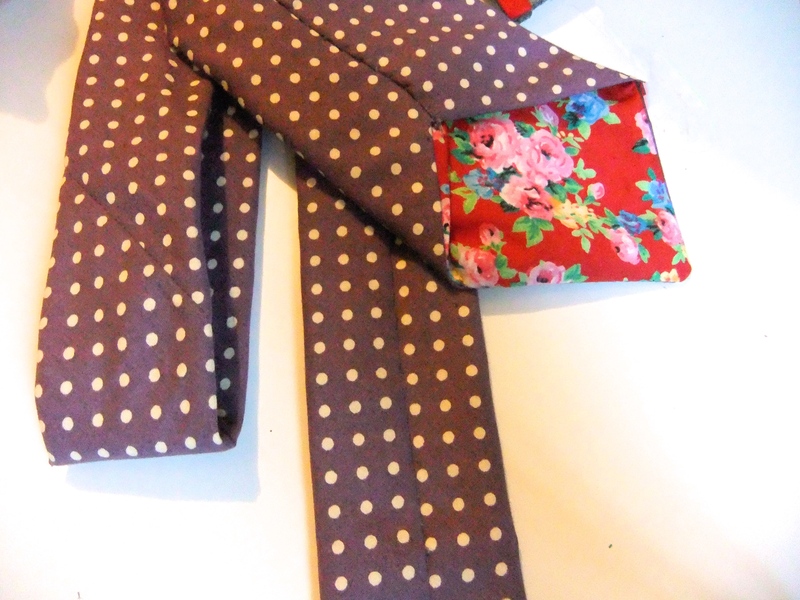 This was the tie I made at the Sew Over It class. The class included all the material for making a tie and we had a nice range of fabric to choose from and I was introduced to domette (interlining for a tie). 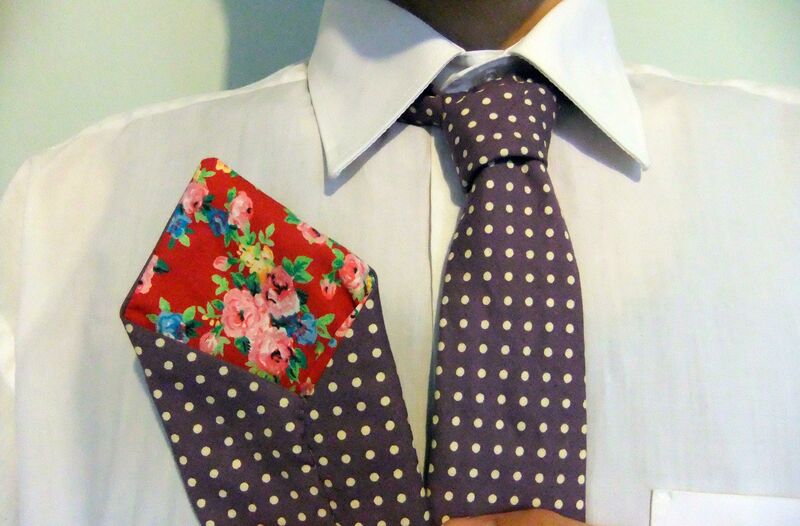 We couldn’t finish the tie is class because of all the hand sewing but I left eager to finish and make many more. I made this in complete secret and when my husband received it he was utterly thrilled. He loved the red detail under the tie. The second tie was for my mums partner. I pushed the boat out and went for liberty fabric on this one. I have absolutely hated liberty fabric until this point. I thought it was so unnecessarily busy, reminding me of carpets/curtains/wallpaper and I said I would never EVER be swayed no matter how many liberty fabric lovers Now I have two liberty fabrics on my must have list and am lazily looking through liberty fabric while on my xmas holiday……. ….. but my mum, after seeing I’m really using my sewing machine, has bought me a cushion making sewing class…..hint has been taken and my sewing machine is going to be used for more gift giving from now on, which now I don’t think is a bad thing. 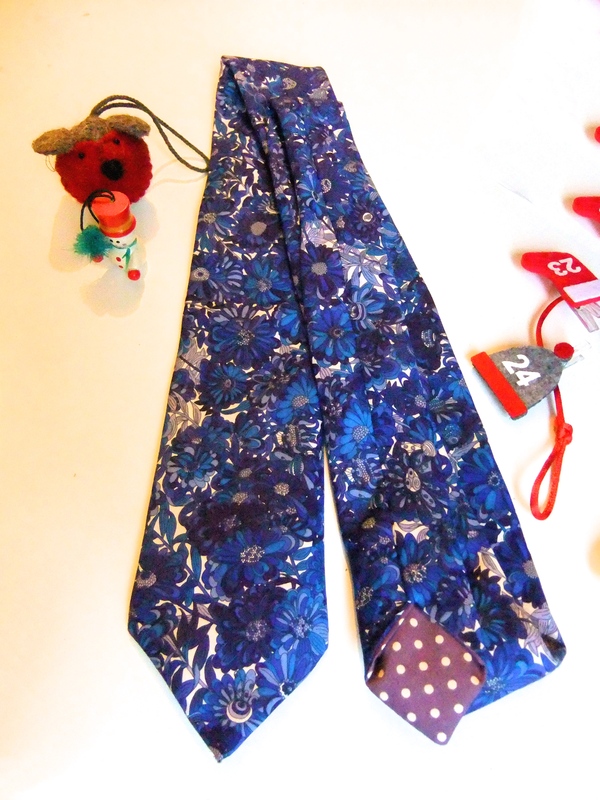 Oh wow…the ties are gorgeous and the texture of that liberty fabric is brilliant! Wouldn’t blame you for wanting to have more of them in your stash at all. I have always wanted to learn to sew properly….maybe one day I will finally be able to do it. Also thank you for the lovely comment you left on my cultural appropriation post…would love to see you in your Qipao. Hope your new year will be fabulous! Thanks 🙂 I’m still a beginner but hopefully I can sew a Qipao but hopefully one day! and I’ve chosen the liberty fabric to do it with haha I found some super talented Qipao makers through your website to give me loads of inspiration. I warn you once you start sewing it become addictive!